There is no question that the words luxury and Los Angeles go hand in hand. All around this glamorous city there are endless opportunities to immerse yourself in a world of luxury, the hottest trends, and be envied by all. From places to stay, shop and spa, we’ve got you covered with our list of our favorite luxurious things to do in L.A.
Los Angeles is home to some of the best restaurants in the world. Luxury sushi restaurant Urasawa, on Rodeo Drive, offers the most authentic Japanese cuisine from world renowned chef Hiro Urasawa himself. Surrender to Urasawa’s menu pickings, and you’ll have a memorable night of multiple courses, top shelf sake, and the best sushi you’ve ever had. The restaurant provides exceptional service in an intimate and simple yet elegant setting. Dinner prices begin at $350 per person. The ultimate shopping streets in Los Angeles are prime locations for celeb sightings and getting a taste for the most popular trends and high-end luxury retail. 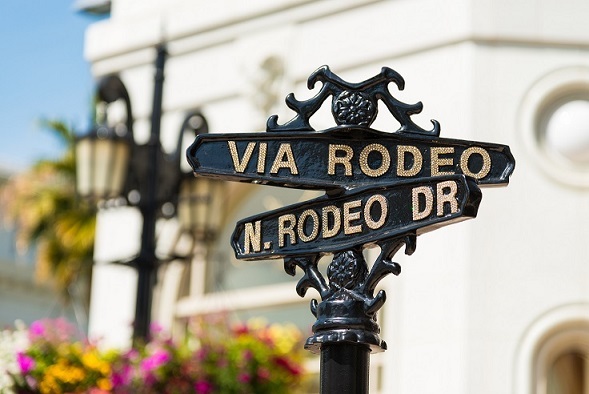 For your favorite classic, designer brands, Rodeo Drive is the place. Known as the “epicenter for luxury, fashion, and lifestyle,” all that you could ever want is stretched across three blocks in the heart of Beverly Hills. Shop the latest high fashion collections at Chanel, Versace, Gucci, Fendi and many, many more. On Melrose Avenue, tap into your inner hipster and shop the bohemian styles at voguish boutiques with vintage inspired clothing brands. Coined as “the new Rodeo Drive” by millennials, Melrose is a street where the modern wave and punk cultures come together to create something spectacular. With contrasting elements of grunge and glamour, consignment and luxury, offbeat and mainstream, Melrose Ave. is no doubt a hub for incomparable style and entertainment. Feel an element of escape at Shutters on the Beach in Santa Monica. The luxury hotel is decorated and furnished with the feel of a beach house in mind, by interior design genius Michael Smith (who also designed the White House). Watch the sunset from your balcony on your earth-toned lounge chair or with the ocean at your feet. You get all of the luxury hotel amenities and more in a relaxed, beach-chic atmosphere. Treat yourself for the day at one of L.A.’s most luxurious spas at the Montage in Beverly Hills. Indulge in their spa packages complete with the ultimate relaxing treatments, skin and body technologies and therapies. Leave the spa and Kim Vo Beauty Salon feeling your best after a mani-pedi and a brighter, sexier Brazilian blowout. This entry was posted in LA Guide and tagged beverly hills, los angeles, luxury, rodeo drive, santa monica, shutters on the beach, travel.